Ready to update your warm weather wardrobe with some on-trend, handmade pieces? 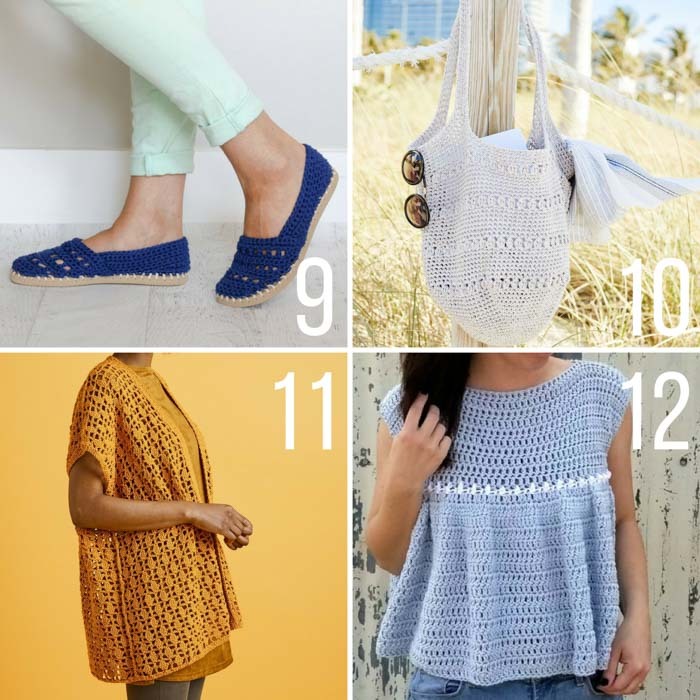 These spring + summer free crochet patterns will have you ready to hit the beach or BBQ with style! And the bonus? You’ll make some super wearable, usable and perfectly customized clothing and accesories in the process. Win win! 1. 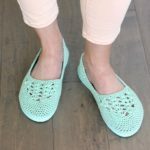 The Summer Crochet Slippers with Flip Flop Soles from Make & Do Crew – Summertime shouldn’t be a reason to dismiss the comfort your feet crave. Cotton yarn and flip flop soles make these lightweight summer crochet slippers perfect for wearing around the house (or even outside!) I’ve got you covered with a video tutorial on this one too. Check out this Crocheting On Flip Flops FAQs post to see how amazingly well they hold up over time too. 2. The Canyonlands Boho Crochet Top from Make & Do Crew – This free boho crochet pattern uses Lion Brand’s Cotton Bamboo yarn and the Open Fan stitch to create a delicate, lacy pattern. All you need to add is your own free spirit! 3. 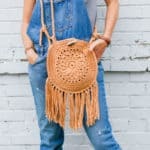 The Urban Gypsy Boho Crochet Bag from Make & Do Crew – This boho bag crochet pattern is fun to put together and loaded with bohemian charm. The tutorial includes instructions for adding a crochet strap or a thrifted leather belt strap. 4. The Crochet Espadrilles with Flip Flop Soles from Make & Do Crew – If you’ve ever been interested in crocheting on flip flops, this is a great beginner pattern to start with. These summer shoes are perfect for the beach and are easily customizable. Photo tutorial included. 5. 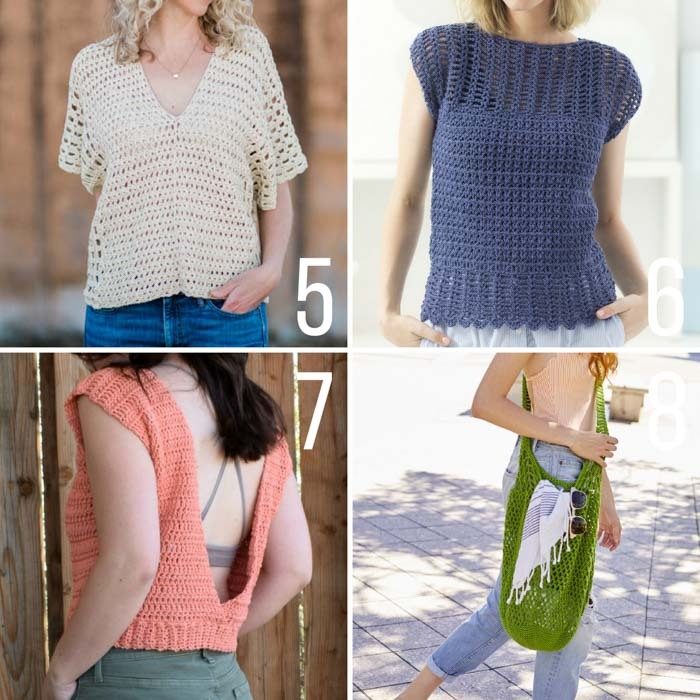 The Saratoga Poncho Summer Crochet Top from Make & Do Crew – Made from two simple rectangles, this lightweight summer crochet top may be the easiest thing you make all summer! Lion Brand’s Cotton Bamboo yarn lends a beautiful floppy drape to this boho poncho shirt pattern. 6. The Openwork Crochet Top from Lion Brand – This delicate crochet top uses a yarn you’ll see a lot on this list, Lion Brand 24/7 Cotton. I love the sweet cap sleeves and feminine shells around the bottom. 7. The Summer Valley Crochet Top from Hooked on Homemade Happiness – Lightweight yarn and an open back make this a perfect crochet shirt for hot summer days. This free crochet pattern includes a photo tutorial as well. 8. The Crochet Green Mountain Tote from Lion Brand – It really is easy being green with this reusable crochet tote bag. 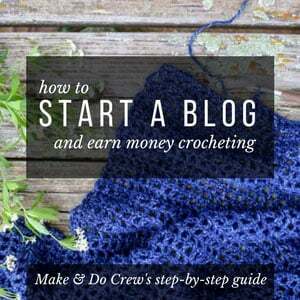 Because this free pattern uses basic crochet stitches, it is perfect for beginners. Grab your 24/7 Cotton yarn here. 9. The Seaside Slip-on Crochet Shoes with Rubber Soles from Make & Do Crew – These summery crochet shoes with rubber bottoms come together once again with the heroic and lightweight 24/7 Cotton yarn and a pair of flip flops. Wear them to cruise the boardwalk or when frolicking on your fantasy yacht! 10. The Pensacola Crochet Bag from Lion Brand – This easy crochet bag from Lion Brand will hold all your summer essentials, whether you’re hauling it to the beach or home from the grocery store. The pattern features Lion Brand’s new Rewind yarn which feels like a cross between tissue paper and ribbon–it’s really cool! 11. The Marigold Crochet Cardi from Lion Brand – Brighten your day with this Marigold Crochet Cardi from Lion Brand. It’s the perfect layering piece (overly air conditioned restaurants, we’re looking at you!) without the bulk of typical crochet cardigans. Get your 24/7 Cotton yarn here. 12. The Peasant Crochet Top from Hooked on Homemade Happiness – This simple peasant crochet top from Hooked on Homemade Happiness is made from two rectangles, which allows you to easily customize the length. The delicate ruffles make me want to twirl around a field full of wildflowers! 13. The Zara Crochet Tunic from Yarn Hook Needles – Make your outfit multi-task with this crochet tunic from Yarn Hook Needles. From a stylish beach coverup to the perfect cocktails-on-the-patio dress, this free crochet pattern has endless possibilities. 14. 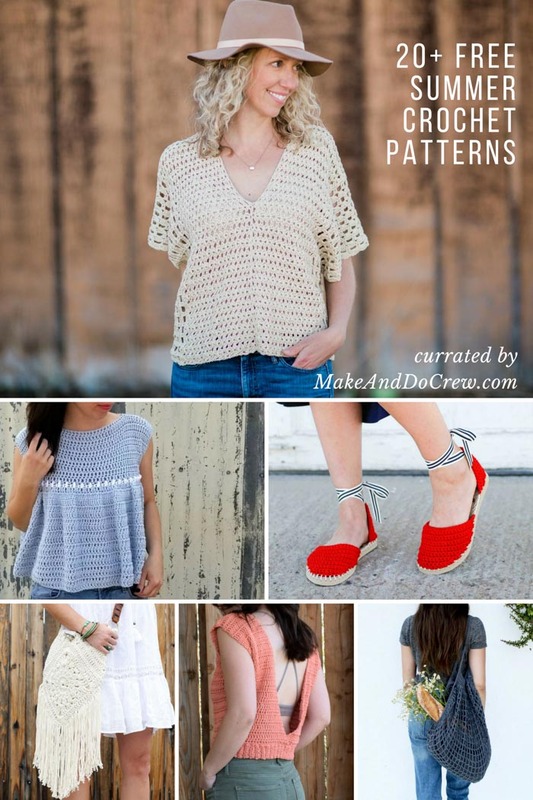 The Diagonals for Days C2C Crochet Top from 1 Dog Woof – My friend ChiWei at 1 Dog Woof breaks down all the corner to corner crochet tips and tricks you need to know to make this stylish c2c top. My favorite tip–use two different colors to create chevron stripes! 15. The Topcho Easy Crochet Shirt from Mama in a Stitch – This simple boho crochet shirt from Mama in a Stitch is made from two easy rectangles. Using basic crochet stitches, the Vanna’s Choice yarn from Lion Brand creates a beautiful texture and this one is sure to become a summertime favorite in your wardrobe. Get the yarn kit here. 16. The Blue Lagoon Easy Crochet Cardigan from Jenny and Teddy – This easy, lightweight crochet cardigan is made from a simple rectangle. 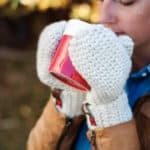 It uses Lion Brand’s soft and breathable 24/7 Cotton yarn, and is a great pattern for beginners. Photo tutorial included. 17. The Kanata Kerchief Crochet Tank from Jennifer Ozses – Can you believe this flowy boho tank is made from a few simple granny squares? I love how it flatters all body styles! 18. 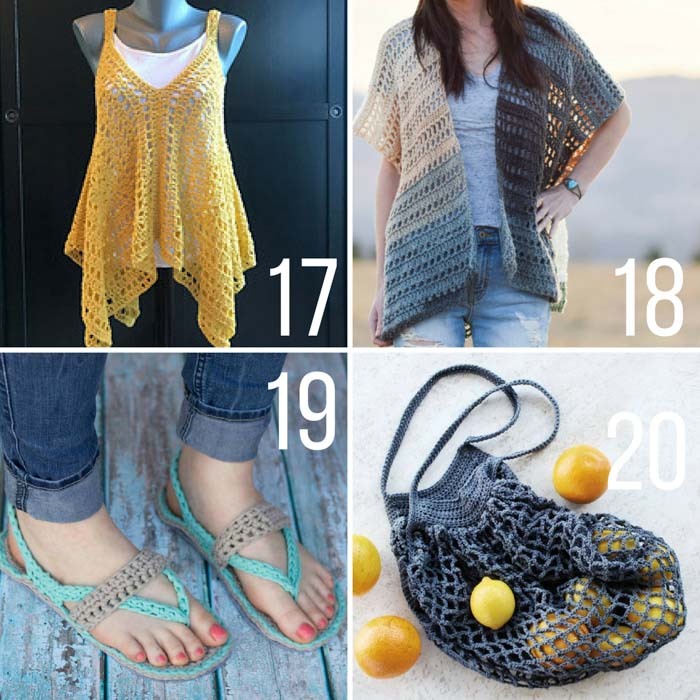 The Barcelona Summer Crocheted Kimono Cardigan from Mama in a Stitch – Another free crochet pattern using two simple rectangles! This easy summer kimono cardigan works up quickly and the self striping Mandala yarn creates gorgeous color changes throughout. 19. The Women’s Crochet Flip Flops from Whistle & Ivy – Don’t let the warm weather deter you from creating something squishy and soft for your feet. This free crochet pattern for women’s flip flops uses t-shirt yarn to keep the temperature down and comfort level high for your feet this summer. 20. The French Market Crochet Tote Bag from Two of Wands – This beautiful crochet market tote bag is actually made from a large square! The soft cotton yarn and elegant style will leave you feeling like the belle of the Farmer’s Market this season. Grab the yarn kit here. PHEW! 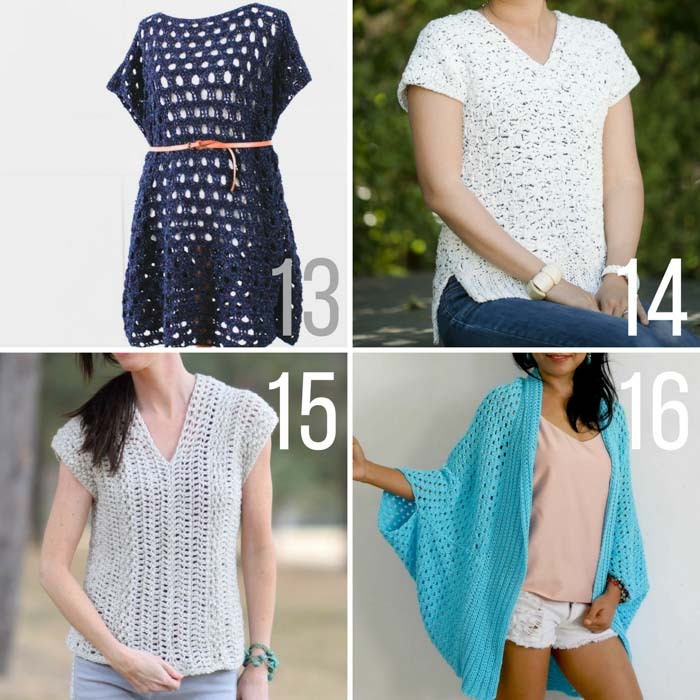 That’s quite the list of free summer crochet patterns. If you still haven’t gotten your fill of inspiration, you can find all my free crochet patterns here. So many fab ideas! Thanks for sharing these! Thanks for making an awesome flip flop pattern! Thank you for showing beautiful gadigun free pattern. I am so much fun make it pretty cloth my first time. Thank you so much jess.